It’s time to redo the flooring in your home and you have absolutely no idea what to do. You came into 2 Day Flooring to see our work, so you can start to make a decision, but it seems like you are at even more of a loss than you were previously. Besides luxury vinyl, laminate, and hardwood flooring there is also tile flooring, which is a great option for many rooms. You might be imagining tile flooring in your home that is just cement tiles that come together to form a grey, boring look, but that’s not the case. There are several styles of tile flooring from a Mediterranean to a Southwestern look and they all can contribute to the style of the house. Tile flooring is great for bathrooms, patios, kitchens, and even sunrooms because they add a cool, refreshing look to the residence. If you’re even considering tile flooring, then take the time to read our blog to see if this is the right option for you. What you need to know about tile flooring is that there are many advantages to having tile in your home. With a wide variety of styles and types to pick from, your flooring will be a unique piece of art that will add a pop of individuality to your home. Generally, tile flooring is both stain and scratch resistant so you won’t have to worry about the durability of the floor or the beauty of it being tarnished. 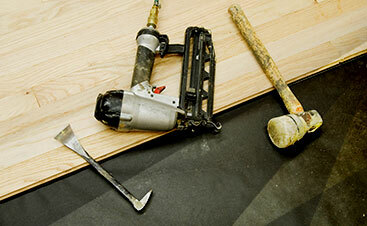 At 2 Day Flooring, we provide tile design and flooring installation to make your life easier. 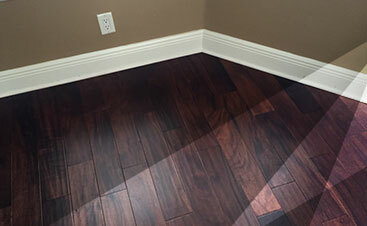 We know that redoing anything in a home can be time consuming and frustrating for the homeowners, which is why we’re efficient and effortless in our flooring services. With a wide range of applications, we’ll be in and out of your hair before you know it. 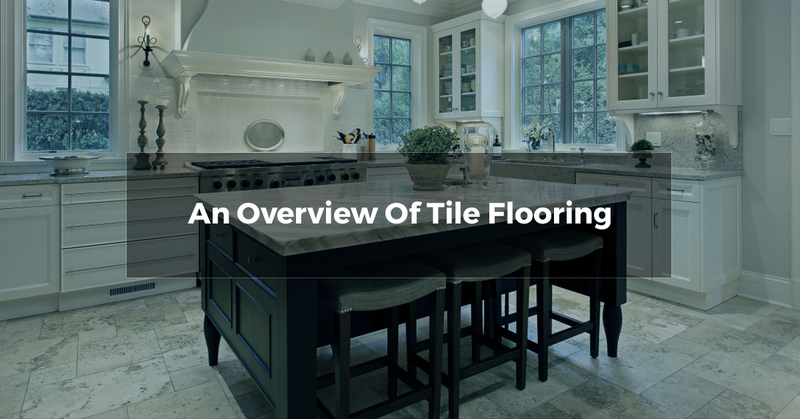 Now that you’ve decided – or are still contemplating if you want tile flooring – it’s time that you learn about all of the different types of tile flooring you can have in your home. There aren’t just a few types of tile flooring, but an abundance that you can choose from. To ensure you make the best decision for your flooring, do some research so you’re well-versed enough to pick the perfect flooring application for a beautiful, timeless piece of work. Ceramic tile is some of the most well known flooring options because many people have it in their home. Made from clay materials that are prepared, formed, and quarried into a mold, ceramic will ensure that you achieve a wide range of colors, shapes, sizes, and textures for your flooring. The procedure of the natural clay and minerals becoming heated and cooled gives you a unique look to the room. Porcelain tile will add some elegance to a bathroom. Created from natural clay, the process includes heating refined clay to the highest temperatures to design a denser tile that can be used to create the perfect bathroom or a durable patio. You can pick exactly the type you want with the array of textures, colors, and sizes. Terracotta is some of the most beautiful tile you can have for your home. Terracotta means baked earth and that’s exactly what it looks like. Terracotta can go in patios, bathrooms, or kitchens for more of a Southwestern vibe. With a unique look, the reddish-brown colors will give your home a more rustic and old world look. Granite is a type of natural stone that will add a cool outdoors look to your home. Made from igneous rock, granite is dense and hard so you have a more sturdy floor. The granite is speckled minerals that are found within rocks with a unique veining, so you have an array of colors to pick from. Granite is a great option for high-traffic areas and kitchens that want a more distinctive look. 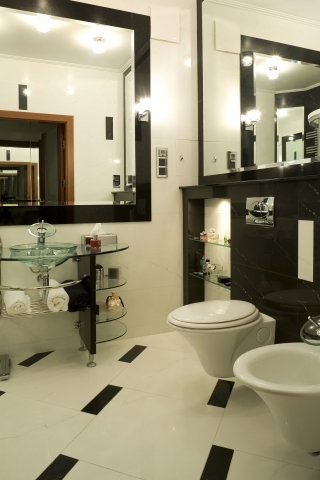 You’ve probably considered marble in bathrooms because of the elegant look of it. Marble is a metamorphic natural rock that has veining. Available in several different colors, they are also porous so it really sets itself apart from other types of flooring. Marble is a very versatile flooring option that offers multiple finishes that can be honested, brushed, or tumbled. A type of sedimentary rock, limestone is a more earthy appearance that comes in lighter and darker shades. This flooring option is smooth or you can choose to add a little texture by leaving it unpolished. Keep in mind that limestone is less dense than marble and granite, which makes it prone to stains and scratches. Limestone would be a great option for areas that are not high-traffic such as a kitchen. Travertine is a sister of limestone. With more of an earthy look, travertine has more of a crystallized and unusual look than it’s counterpart. Due to the soft, porous surface that has pitting in it, it’s not recommended for kitchen flooring because it can be easily damaged. Travertine, like limestone, can be scratched easily and stained so it needs special care to ensure it stays in tip-top shape. A metamorphic rock, slate is very durable. You don’t have to worry about using slate in high traffic areas because it’s a very dense and sturdy surface. With a natural texture, unless you decide to smooth it, this flooring looks very earthy. Mostly available in darker tones, slate will add a more down-to-earth vibe in your home. A soft, natural stone onyx has more of a transparent look to it. Onyx is a stone in and of itself due to the more unique look it offers. It is best for indoor areas such as sun rooms and bathrooms. We recommend getting onyx in rooms that have medium to light traffic in comparison to a kitchen that has a higher amount of traffic. With more earthy and smooth textures, the shades of onyx will stand out in your home. Quartzite is a metamorphic rock that has a classy appearance. Due to the natural stones, it has a more down-to-earth appearance that is both homely and elegant. Available in several different colors and textures, Quartzite is durable and versatile for homes that want a little more individuality. It can be used in indoor and outdoor areas as well as high-traffic to low-traffic areas. Pebbles and stones are always a fun look because of the fact that you get to bring outdoor character into your home. With unique shapes, styles, and tones, you can create a bathroom that is entirely made out of pebbles and stone. If you are a more earthy person, you’ll enjoy the versatility that pebbles and stones can offer you. What Kind Of Flooring Would Be Best In Your Home? Have you made your decision? Great! Now it’s time to come down to 2 Day Flooring to figure out all the details. Fill out the free in-home estimate below!